By: G.F. Hawthorne, R.P. Martin & D.G. Reid, eds. 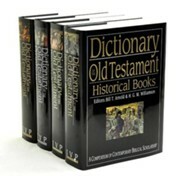 The Dictionary of Paul and His Letters is a one-of-a-kind reference work. 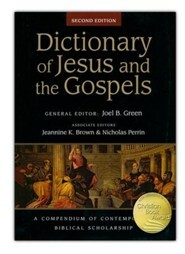 Following the format of its highly successful companion volume, the Dictionary of Jesus and the Gospels, this Dictionary is designed to bring students, teachers, ministers and lay people abreast the established conclusions and significant recent developments in Pauline scholarship. No other single reference work presents as much information focused exclusively on Pauline theology, literature, background and scholarship. 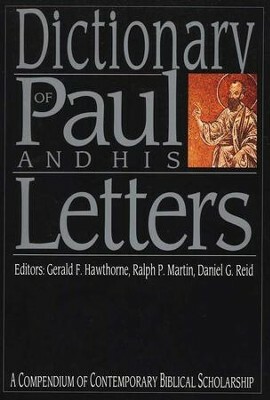 In a field that recently has undergone significant shirts in perspective, the Dictionary of Paul and His Letters offers a summa of Paul and Pauline studies. 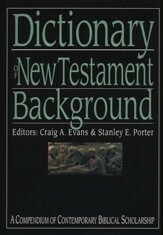 In-depth articles focus on individual theological themes (such as law, resurrection and Son of God), broad theological topics (such as Christology, eschatology and the death of Christ), methods of interpretation (such as rhetorical criticism and social-scientific approaches), background topics (such as apocalypticism, Hellenism and Qumran) and various other subjects specifically related to the scholarly study of Pauline theology and literature (such as early catholicism, the center of Paul's theology, and Paul and his interpreters since F. C. Baur). Separate articles are also devoted to each of the Pauline letters to hermeneutics and to preaching Paul today. 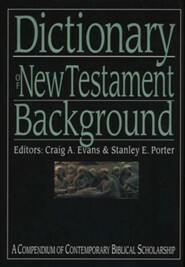 The Dictionary of Paul and His Letters takes its place alongside the Dictionary of Jesus and the Gospels in presenting the fruit of evangelical New Testament scholarship at the end of the twentieth century--committed to the authority of Scripture, utilizing the best of critical methods, and maintaining dialogue with contemporary scholarship and challenges facing the church. 1994 ECPA Gold Medallion (Reference Books) The Dictionary of Paul and His Letters is a one-of-a-kind reference work. 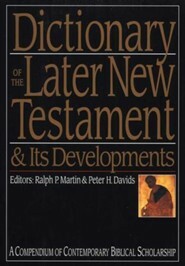 Following the format of its hightly successful companion volume, the Dictionary of Jesus and the Gospels, this Dictionary is designed to bring students, teachers, ministers and laypeople abreast of the established conclusions and significant recent developments in Pauline scholarship. No other single reference work presents as much information focused exclusively on Pauline theology, literature, background and scholarship. In a field that recently has undergone significant shifts in perspective, the Dictionary of Paul and His Letters offers a summa of Paul and Pauline studies. 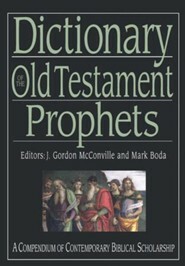 In-depth articles focus on individual theological themes (such as law, resurrection and Son of God), broad theological topics (such as Christology, eschatology and the death of Christ), methods of interpretation (such as rhetorical criticism and social-scientific approaches), background topics (such as apocalypticism, Hellenism and Qumran) and various other subjects specifically related to the scholarly study of Pauline theology and literature (such as early catholicism, the center of Paul's theology, and Paul and his interpreters since F. C. Baur). Separate articles are also devoted to each of the Pauline letters to hermeneutics and to preaching Paul today. 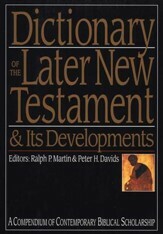 The Dictionary of Paul and His Letters takes its place alongside the Dictionary of Jesus and the Gospels in presenting the fruit of evangelical New Testament scholarship at the end of the twentieth centurycommited to the authority of Scripture, utilizing the best of critical methods, and maintaining dialogue with contemporary scholarship and challenges facing the church. 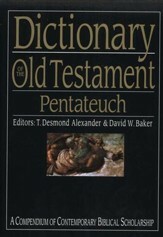 Gerald F. Hawthorne (1925-2010) served as a professor of Greek for forty-two years at Wheaton College in Wheaton, Illinois, as well as chairperson of the Institute for Biblical Research, which he founded. An active member of the Evangelical Theological Society and the Society of Biblical Literature, he is the author or coeditor of six books and dozens of articles. Ralph Martin (1925-2013) was a distinguished New Testament scholar and a significant figure in the post-World War 2 resurgence of British evangelical scholarship. Born in Anfield, Liverpool, England, his early education was interrupted in 1939 by the war, and he was conscripted to work in the coal mines of Lancashire. After the war he pursued ministerial training at Manchester Baptist College and in 1949 earned his B.A. at the University of Manchester. In 1963 he completed his Ph.D. at Kings College, University of London. In 1969 Martin joined the faculty of Fuller Theological Seminary in Pasadena, California, where he would serve as professor of New Testament from 1969 to 1988, and director of the graduate studies program beginning in 1979. He resumed his teaching there in 1995 as Distinguished Scholar in Residence. Throughout his academic career he stayed involved in preaching, teaching laypeople and other pastoral ministry. 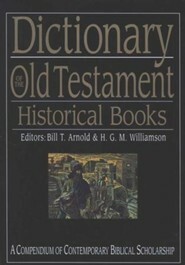 He was the author of numerous studies and commentaries on the New Testament, including , the volume on in The Tyndale New Testament Commentary series, and and in the Word Biblical Commentary, for which he also served as New Testament editor. Daniel Reid (PhD, Fuller Theological Seminary) is editorial director for IVP Academic, where he has worked since 1986. 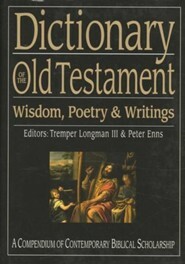 He was the developmental editor for IVP's award-winning New Testament dictionaries, and has also written his own academic studies, including , cowritten with Tremper Longman III. I'm the author/artist and I want to review Dictionary of Paul and His Letters: A Compendium of Contemporary Biblical Scholarship.